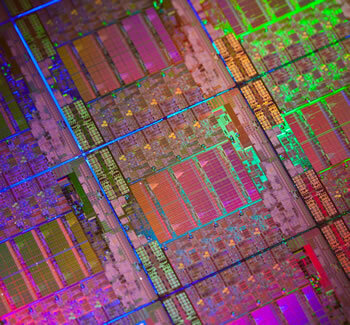 AMD’s prospects just keep taking a turn for the worse as we approach 2013. The chip maker has suffered from a slow CPU market and increased pressure from rival Intel which has subsequently forced them to reduce their wafer purchase commitments with GlobalFoundries. The decision to break contract with GlobalFoundries was likely done to avoid having excess inventory that would result in further write-downs in the near future. AMD originally agreed to buy $500 million worth of silicon during the fourth quarter but now will only spend $115 million. Of course, the semiconductor foundry didn’t just let AMD out of the contract without penalty. The chip maker agreed to a termination payment of $320 million that will be paid over several quarters as follows. $80 million will be due by December 28, 2012, another $40 million will have to be paid by April 1, 2013 and AMD signed a promissory note valued at $200 million that’s due by December 31, 2013. AMD said the termination fee will result in a one-time charge of $165 million that will show up on their fourth quarter results. In a press release on the matter, the company said they expect to return to free cash flow generation in the second half of 2013. AMD CEO Rory Read said the announcement demonstrates that the long-term strategic partnership between the two companies continues to be beneficial on both sides. He praised GlobalFoundries for meeting their delivery requirement in 2012 and looks forward to developing and growing AMD with their help.